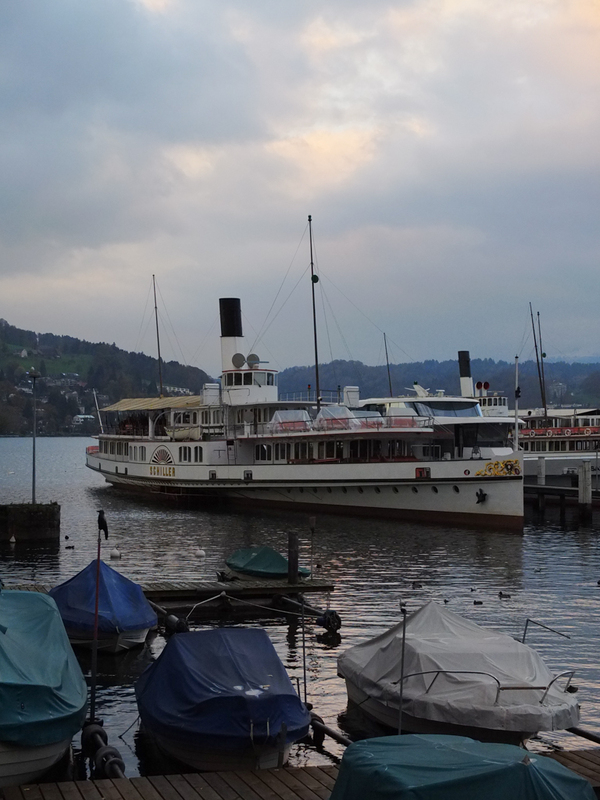 The 1906 built paddle steamer Schiller is one of five in the SGV fleet. It was given an extensive rebuild between 1998-2000 during which extensive work was done on the hull and superstructure. 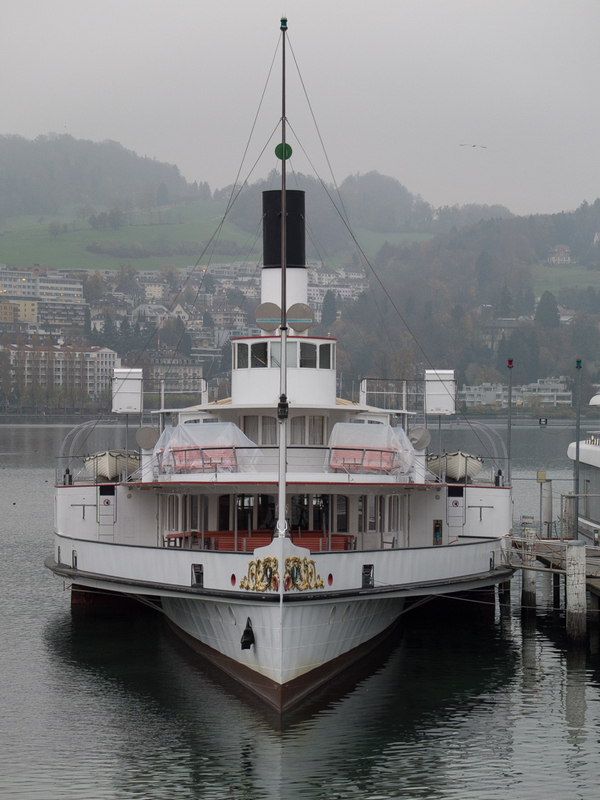 Like all the steamers, she appeared to be laid up for the winter with her vents closed off and the external deck seating covered over to protect it from the harsh Swiss winter. Lovely symmetry in the top shot. A beautiful paddle steamer, beautifully photographed in these pictures. My favourite is the last one.